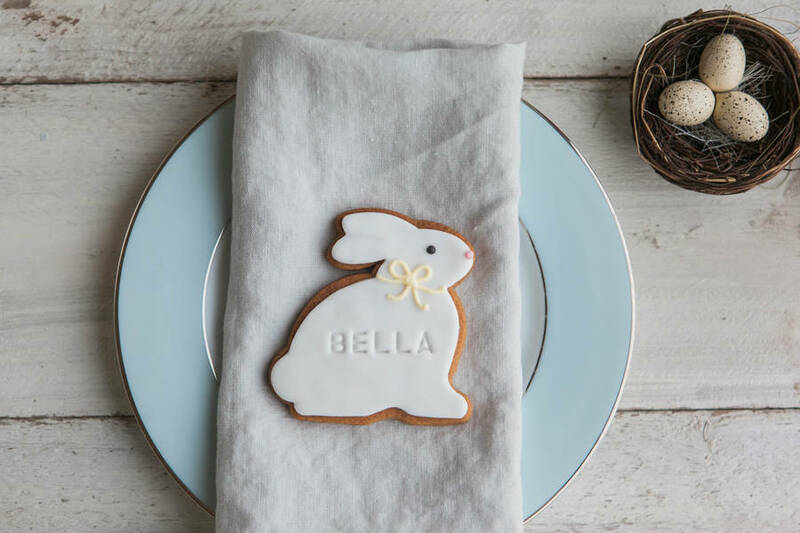 This personalised bunny biscuit is sure to delight anyone who receives it. Each biscuit is handmade using the best local ingredients. 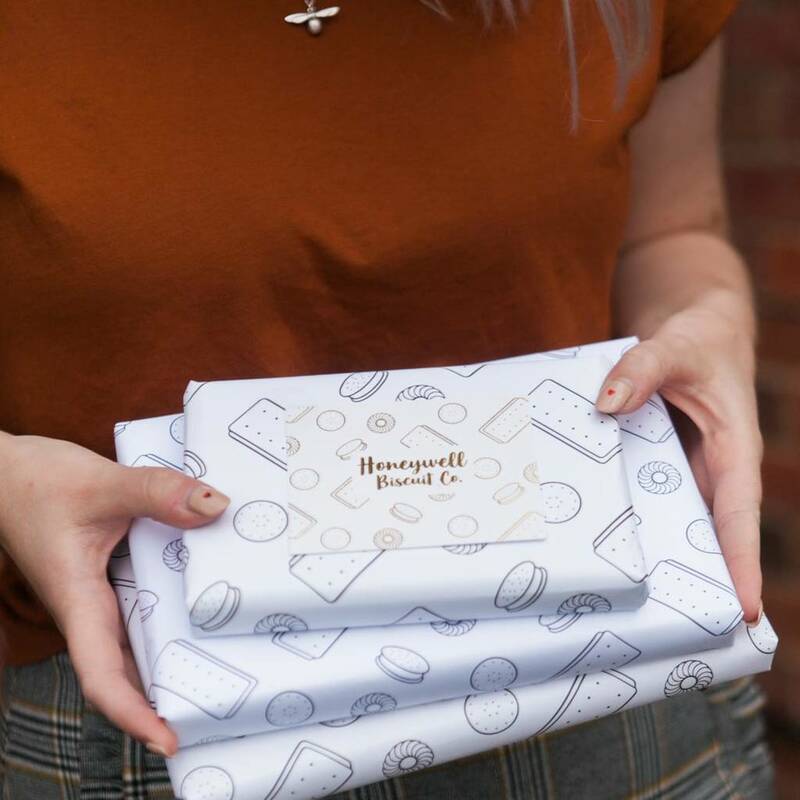 Presented in a sturdy and pretty gift box, and can be delivered straight to your loved ones door. Ingredients: Biscuit: British flour, British sugar, British butter, golden syrup, free range eggs. Royal Icing: Icing Sugar, free range egg whites, glycerine, food colours. Sugarpaste (fondant icing): glucose syrup, vegetable or palm oil, emulsifier E471 or mono-and diglycerides of fatty acids, stabiliser E413 or xanthan gum and cellulose, acidity regulators E260, E262, preservative potassium sorbate and natural flavouring. Standard delivery is via Royal Mail first class. Whilst most parcels arrive on the the next day, this isn't a guaranteed service and some do take a few extra days to arrive. Please note that tracked delivery is a signed for service via DPD and will require a signature. 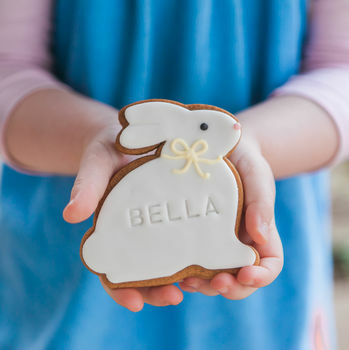 Please note that the last posting date for Easter delivery is Thursday 24th April, as Friday 25th is a Bank Holiday and so the Post Office do not operate that day.